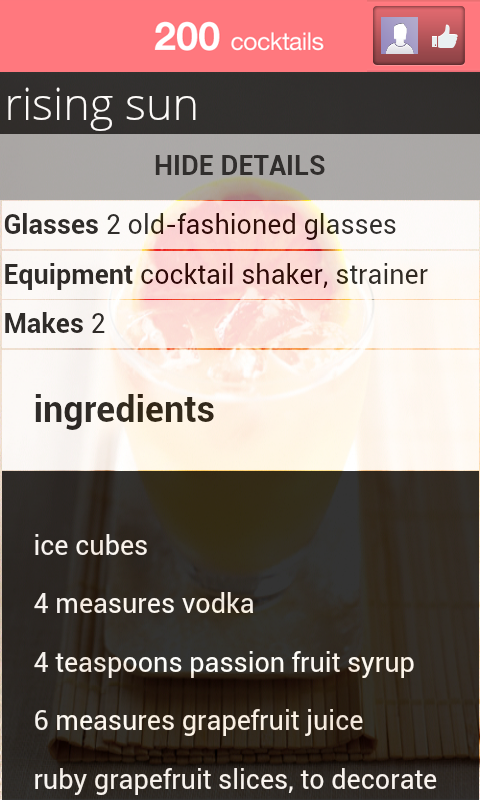 Everyone enjoys a fancy tipple from time to time, whether partying among friends or taking a moment alone to relax, but sometimes you need more than just a rum & coke. 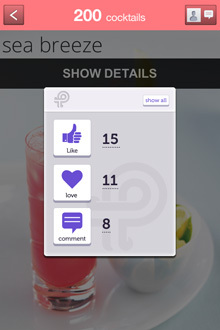 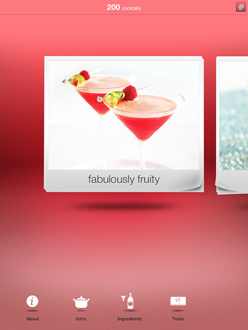 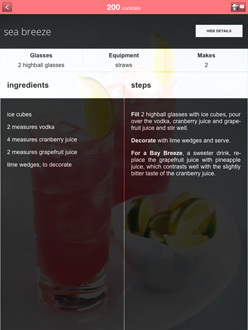 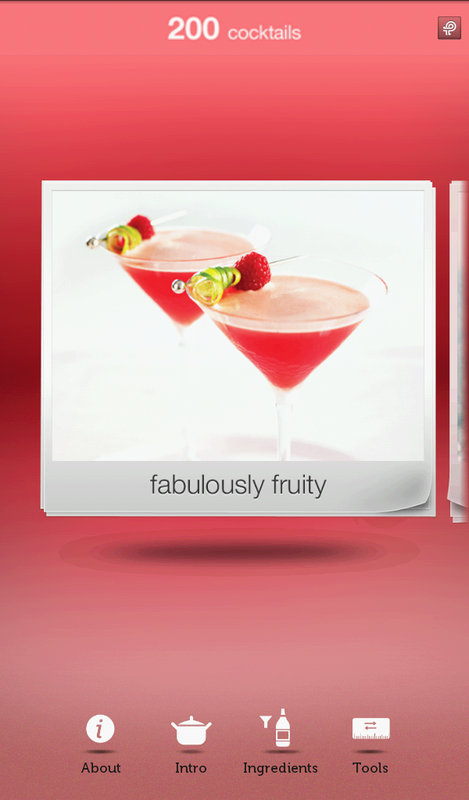 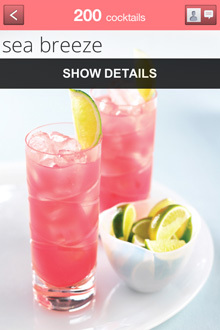 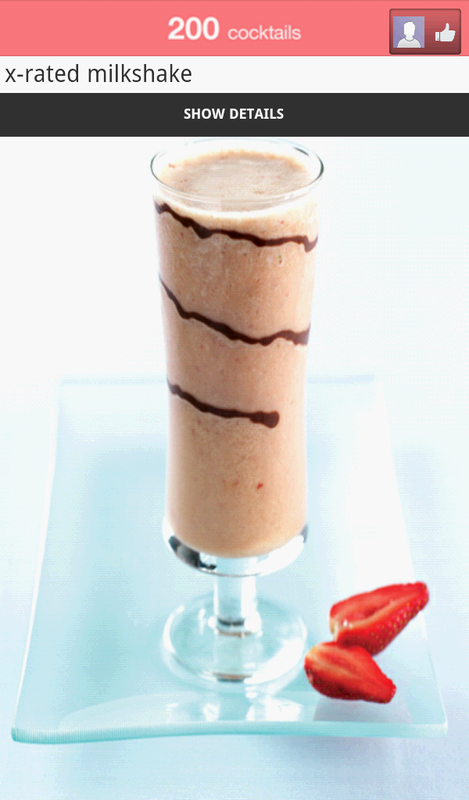 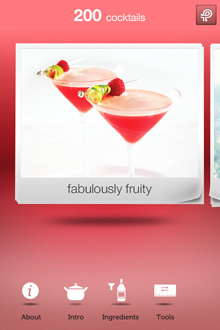 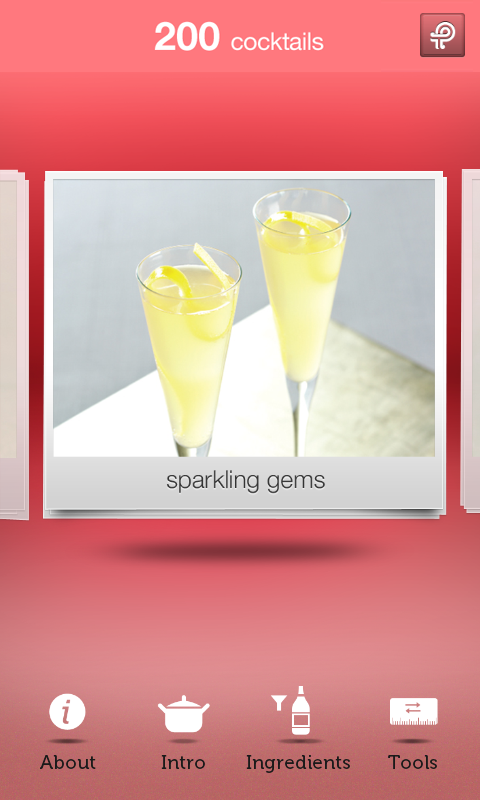 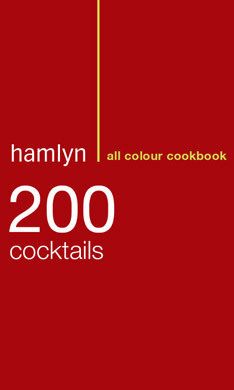 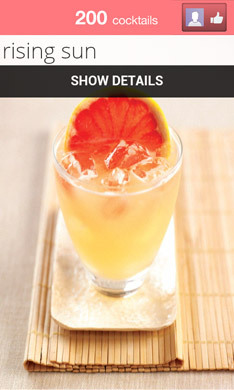 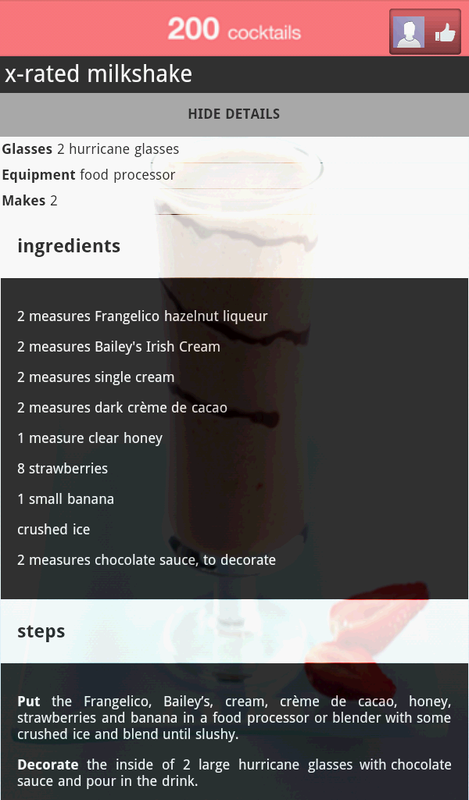 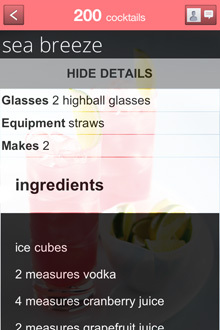 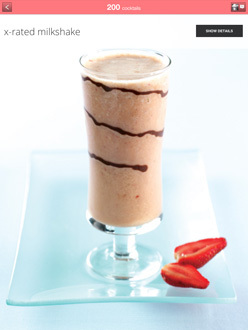 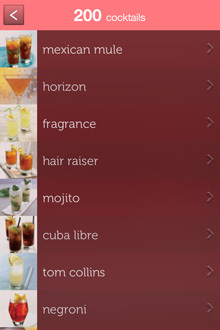 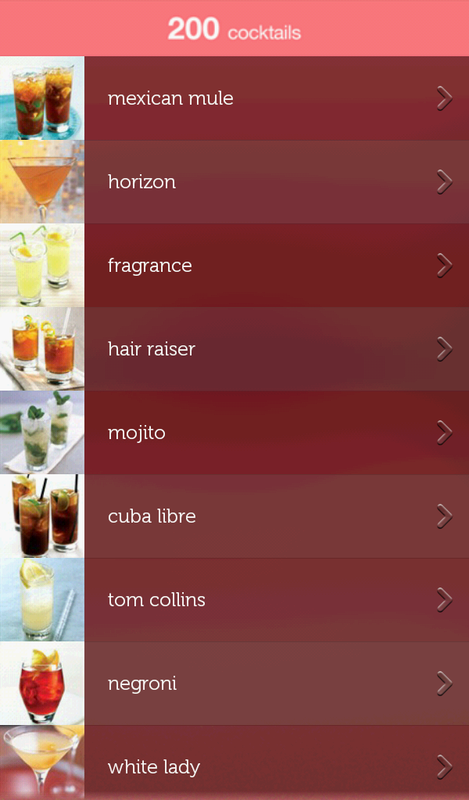 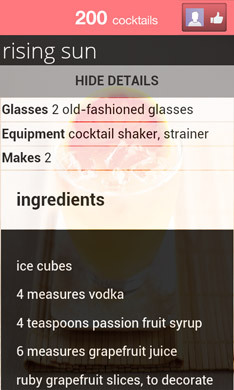 This app provides you with over 200 recipes to create the perfect drink for any occasion, from a minty Mojito or classic Margarita to a sophisticated Champagne Cocktail or exotic Russian Spring Punch. 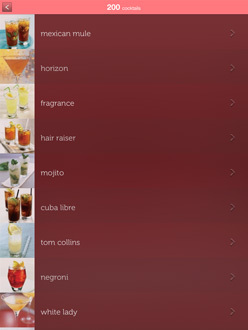 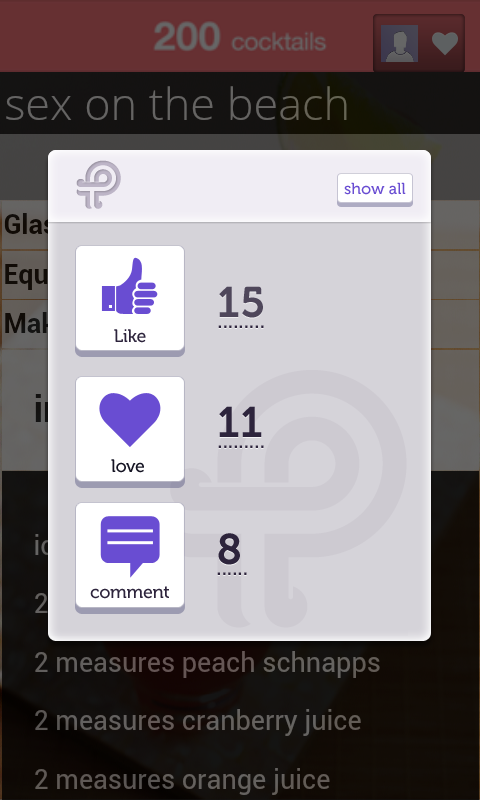 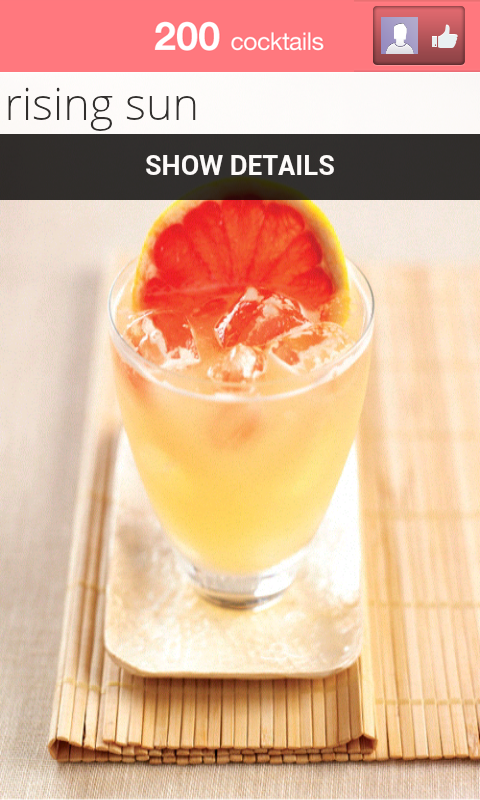 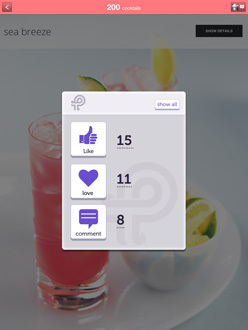 With colour photographs and easy-to-follow recipes, this app is the essential guide to impressing your guests and making your drinks toast of the town.